It looks someone with access to an AMD Ryzen 8 core sample decided to throw us a bone. 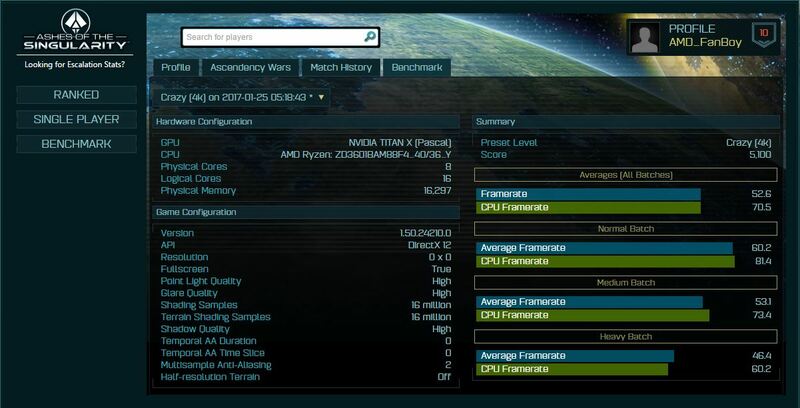 Ashes of the singularity benchmarks of a Ryzen sample clocked at 3.6 GHz and 4.0 GHz turbo were recently posted on the AotS database. As usual, they were also quickly pulled but not before some vigilant internet users managed to save a screen grab of the benchmark. Since we have been dealing with AotS benchmarks for a long time, it is one of the more reliable baseline benchmarks for gamers (as opposed to say, a compute heavy benchmark like geekbench). For this particular benchmark, I am going to refrain from doing a comparative analysis of the benchmark – leaving that for our readers to do so of their own accord. I will however make the following observations, we are looking at the 8 core – 16 thread variant which has Hyper Threading enabled. The GPU used was a TITAN-X so this leak does not stem from AMD labs, rather some third party – probably a reviewer or even an AIB. Lastly, the sample is clocked at 3.6GHz/4GHz as can be seen from the suffix at the end and has very impressive performance in the 4K preset. As we told you a while back, the primary problem with achieving a stable overclock on all cores had very little do with the processor itself and mostly to do with the quality of the motherboard. Specifically, the VRMs on the ES mobos were not of a solid enough build to sustain a stable OC to all cores. If a single core can hit 5 GHz on air, ignoring the effects of electromigration, then you can realistically expect cherry chips to overclock up to 3.8-4.0 GHz on all cores with a high-end cooler and a mature enough revision of the Ryzen processor. A Ryzen chip with a decent overclock will be able to give comparable performance to (and possibly even beat) Intel’s $1000 i7-6900 in optimized scenarios. This is very good news for any tech enthusiast waiting to go with a Zen build for next year. All this information points to the fact that we are looking at a very real AMD comeback on the compute side of things. Ryzen is not only going to be a game changer for the company in terms of gamer’s support. 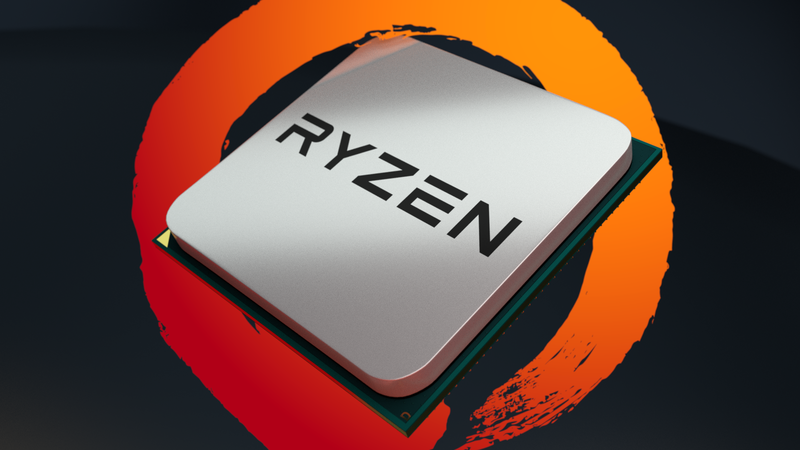 Games usually are not capable of utilizing a lot of threads and instead rely on high clock rates, applications like server/enterprise and rendering farms however are going to benefit from the arrival of Ryzen a lot. That is the industry where it is truly going to be a game changer, providing Intel-level performance at 1/2 the cost (assuming the rumors we have been hearing about pricing are correct).